Republicans say it is a matter of states' rights. Few would dispute that school staffers should physically restrain children rarely and should tell parents when they can't avoid doing so. But turning this proposition into the law of the land has proven surprisingly difficult. 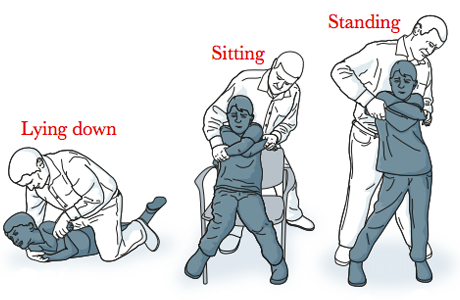 Even as awareness has grown about the frequency with which schools use restraints — and about the injuries that can result from such practices — federal bills to curtail the use of restraints have stalled. As ProPublica detailed last week, public schools put children in restraints or so-called seclusion, holding them in a room against their will, at least 267,000 times in just one school year. Teachers, high school principals and the U.S. Department of Education have all endorsed the idea of limiting the use of restraints to emergencies. "We've had young people die in restraint and seclusion," U.S. Rep. George Miller, D-Calif., told ProPublica. "I don't know how much more serious it has to get." But lobbies representing school district leaders and boards have combined with congressional Republicans to stymie such legislation. Prominent Republicans say that even if restraints should be limited, the federal government shouldn't be in the business of setting school policy and the matter should be left up to state and local leaders. Of the House bill's 41 co-sponsors, just three are Republicans. Among the opponents is Rep. John Kline, R-MN, the chairman of the House's education committee. ProPublica's calls to Kline's office were not returned. But back in 2012, a spokeswoman for Kline told ABC News, "Chairman Kline believes state officials and school leaders are best equipped to determine appropriate policies that should be in place to protect students and to hold those who violate those policies accountable." Two school lobbies — school district leaders and school boards — also oppose the bill. The administrators have long been among the bills' most vocal opponents. "AASA refuses to accept the idea," the American Association of School Administrators wrote in a 2012 position paper it still supports, "that public school employees are over-using seclusion and restraint and/or using it inappropriately." The administrators association and the National School Boards Association issued a joint statement this past February blasting the current Senate bill as "a federal overreach" that "fails to recognize the need for local school personnel to make decisions based on their onsite, real-time assessment of the situation." In addition to banning restraints except to prevent serious physical harm, the bills would require schools to notify parents and bar educators from using "mechanical" restraints such as ropes or belts. Seclusion would be prohibited in the Senate bill or limited to emergencies in the House version. The administrators' group says the legislation would remove an option to help school personnel manage difficult students, and lead schools to send more disabled students to restrictive settings, such as residential institutions. Do You Know a Kid Who's Been Restrained or Secluded at School? Furthermore, the group said in another position paper from 2012, the elimination of federal grants for training in crisis intervention has made it harder for districts to carry out more sophisticated behavior management programs. If the federal government wants to tackle the overuse of the practices, the association says, it should provide grants to districts that have unusually high numbers of them or that experience injuries to children or staff. The Senate bill is "a classic example of how Washington politicians have chosen to mandate changes to school district practices that will not benefit most school districts," the report said. The group has also warned the bill's restrictions would cause school staff injuries to rise. Those concerns, however, have not borne out for one school system that eliminated restraints and seclusions more than two decades ago, Montgomery County, Va.
Officials there said their program for preventing and diffusing outbursts by children has made restraints unnecessary — and not led to more injuries, or more students sent to institutions. The district's approach, called Positive Behavior Interventions and Supports, is one the U.S. Department of Education and advocates say reduces the need for either practice. Supporters of a federal law limiting restraints and seclusions say that many states and other school districts have not worked hard enough to replace restraints with better programs for managing bad behavior. And in many states, schools are not required to tell children's parents afterwards. "In so many instances those policies are completely inadequate," Rep. Miller said. "More than half the states decided they're really not going to step in." The U.S. Department of Education has issued guidance to districts that recommended creating policies in which restraints are barred except during emergencies and parental notification is standard. But the guidance is not mandatory. The legislation has drawn endorsements from more than 200 organizations, most of which help people with mental or physical disabilities. The National Education Association, the largest teacher's union, at first supported the legislation, then reversed course, but has come to support the Senate bill again after a few changes. One of the organizations opposing the bill, the school boards association, may also come around. Reggie Felton, interim associate executive director, said that sponsors of the bill have made concessions that addressed some concerns, giving school districts more flexibility. Still, a few sticking points remain — such as the House bill's ban on including restraints in plans about special education students' schooling. But Felton said his group could possibly support the bill after more changes. "They continue to move in the right direction," he said. To advocates, the issue is clearer. Pat Amos, a parent and advocate with the disabilities group TASH, said schools need a consistent rule on restraint and seclusion that doesn't vary from state to state. Now, the multitude of policies is confusing, she said. "When you're dealing with the welfare and life a small child, you shouldn't have so many rules," she said. "There should be this one bright line set that says 'you can do this, you can't do that.'" What do you think about restraint in public schools? Join reporter Heather Vogell and our guest panelists for a live discussion on #RestrainingStudents this Monday, June 30, at 1 pm ET.